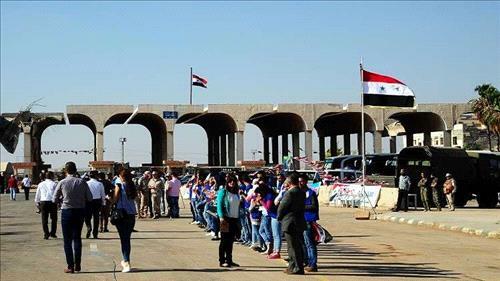 AMMONNEWS - The heads of the Russian and Syrian joint coordination committees, in a Saturday statement, welcomed Jordan's declared commitment to provide comprehensive assistance to Syrians staying on its soil in their return to the home country. "We welcome the desire of the government of Jordan for the provision of comprehensive assistance to Syrians residing in the Kingdom, in their quest to return to their pre-war homes and look forward to the continued participation of our Jordanian colleagues in the implementation of initiatives for the return of Syrian refugees and the speedy liquidation of Rukban camp," the joint statement, published on the Russian Defense Ministry's website said. The statement noted that the situation in the Rukban camp, locked in the US-controlled zone around its At-Tanf base bordering Jordan, remained catastrophic, with children under the age of two making up most of the daily deaths in the area, according to the relatives of camp residents. "As time goes by, and while the United States, hiding behind the supposedly interests of Rukban residents, demand ideal conditions for temporarily displaced persons from long-suffering Syria. There will simply be no one to save," the statement warned. Finally, the heads of the Russian and Syrian joint coordination committees reiterated the call for the United States to disband the Rukban camp by letting those wishing to return leave "the illegally occupied territory of Syria" and ensuring their safety. Over months, the situation in the Rukban camp has been in the focus as Moscow and Damascus criticize Washington for its refusal to facilitate evacuation of the camp's residents wishing to return to their places of residence. In January, the World Health Organization described people residing in the Rukban camp as "trapped," adding that they live "in deplorable conditions." Limited water supply, bitterly cold weather and poorly functioning health care facilities contribute to the rise of diseases, which include influenza, measles, tuberculosis and chronic respiratory diseases, according to the organization.